The Apollo Theater is planning events to commemorate the 100th birthday of blues singer Billie Holiday. The legendary jazz vocalist was born on April 7th, 1915, in Philadelphia and died in 1959 in New York City at age 44. Holiday’s autobiography, Lady Sings the Blues, was ghostwritten by William Dufty and published in 1956. Holiday’s story was made into a 1972 film. Diana Ross received an Oscar nomination for her performance. 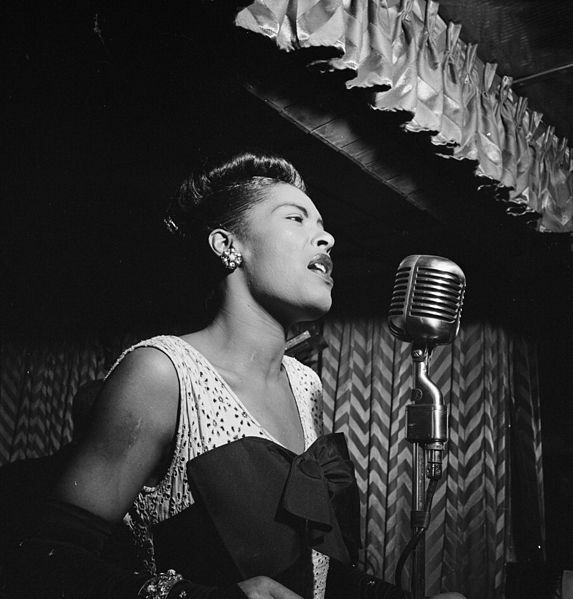 Billie Holiday was posthumously inducted into the Grammy Awards Hall of Fame, which is a special accolade established in 1973 to honor recordings that are at least 25 years old and that have qualitative or historical significance. Holiday will be inducted into the Apollo’s Walk of Fame on April 6th. The theater also is collaborating with Absolutely Live Entertainment and Sony’s Legacy Recordings on other events. Two-time Grammy winner Cassandra Wilson will give a special Apollo concert in honor of Holiday on April 10th. Wilson is also releasing an album called Coming Forth by Day. It includes original interpretations of 11 recorded Holiday songs. This entry was posted on Tuesday, March 3rd, 2015 at 4:44 pm	and is filed under Blog by Manny Pacheco. You can follow any comments to this post through the RSS 2.0 feed. Responses are currently closed, but you can trackback from your own site.